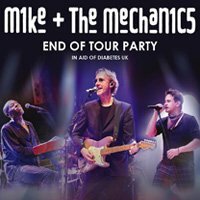 Mike And The Mechanics have added shows in Belfast and Dublin to their 2017 Word Of Mouth tour. The band will visit Mandela Hall on February 11 and the Olympia the following day, before 30 previously announced concerts across the UK, including a stop at London's Royal Albert Hall on March 26. Tickets for the new dates are on sale at 9am on April 8.